If you have a pest problem in your home or business, it could prove to be more than just a nuisance. There are many pests that cause extensive damage to structures and even spread diseases to humans and pets if they’re not dealt with immediately. For more than 20 years, D&T Pest and Termite Control Inc. has specialized in performing pest control in Westwood, MA and many of the surrounding areas. The highly skilled team at the fully licensed and insured pest control company can set you up with a slew of services, including mice treatment, termite control, bedbug treatment, bee removal, tick treatment, and more. The second you spot an insect or a rodent in your home or business, you should get on the phone and call D&T Pest and Termite Control Inc. for pest control in Westwood. Even if you only see a few bugs or a single mouse, it could be a sign of a much larger issue. A pest control specialist from D&T Pest and Termite Control Inc. can visit your home or business to see how big your pest problem is. If there’s more to it than meets the eye, they can create a plan of action and carry out pest control services like ant control, bat removal, mosquito treatment, and more until the pest problem is 100 percent gone. Over the years, D&T Pest and Termite Control Inc. has worked with thousands of home and business owners and offered them the best pest control in Westwood, MA. If you suspect you might have ants, termites, mice, bees, mosquitos, ticks, squirrels, bats, or other pests on your property, D&T Pest and Termite Control Inc. can find out where they’re coming from, eliminate them, and make sure they don’t ever come back again. Mice treatment, bedbug treatment, squirrel removal, and the other pest control services offered by D&T Pest and Termite Control Inc. can put your mind at ease. 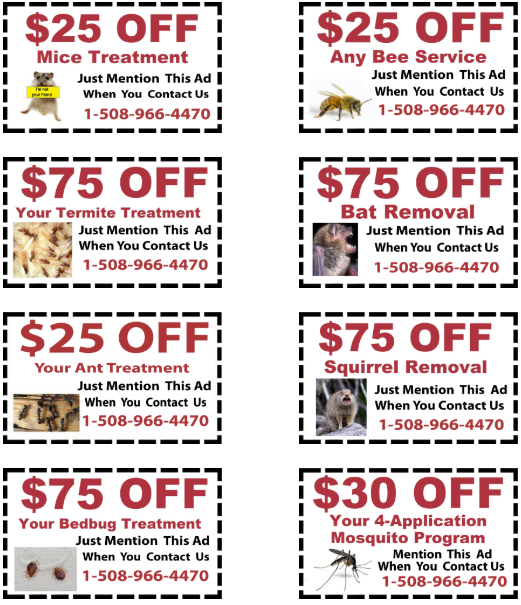 Give D&T Pest and Termite Control Inc. a call at 508-966-4470 to arrange for pest control in Westwood.